Bites from this species have caused one human fatality. Will bite readily and thrash about if handled. Bites from this species should be treated immediately and attended to with correct first aid. Small black eyes barely discernible from surrounding dark scales. Colour generally glossy dark grey to black with cream or pink belly, sometimes with dark spots. 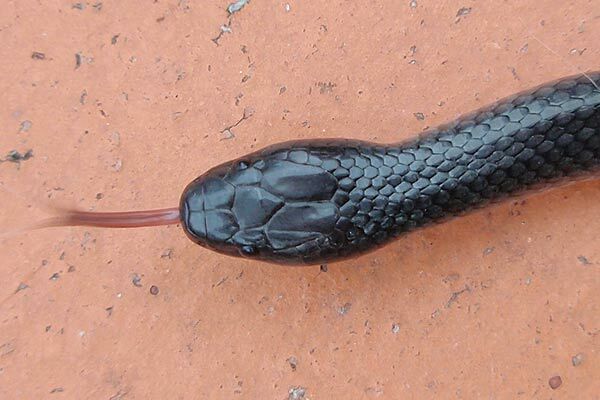 Belly colour does not extend up onto sides, and is not visible as it is on the Red-bellied Black Snake. Midbody scales at 15 rows. 50cm but specimens to 90cm are known. Range of habitats but generally requires presence of leaf and ground litter such as fallen branches and logs. Shelters under rocks, logs, sheets of bark etc during day. Small skinks and other small reptiles, their eggs, and occasionally frogs. Found throughout most periphery suburbs with relatively intact vegetative structure. An aggregation of nine individuals was observed under a sheet of bark at the Purga Nature Reserve, west of Ipswich. 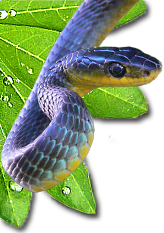 The Small-eyed Snake is infrequently encountered with snake relocators turning up only a small number every year. Could be typically associated with ground refugia such as timber piles, sheet iron, rock walls and heavy vegetation. Copyright © 2015 Brisbane Snake Catchers, All rights reserved.